SYRACUSE, Ind. - Wawasee High School senior Brayden Johnson will fulfill his college football dreams by playing at Ball State University. 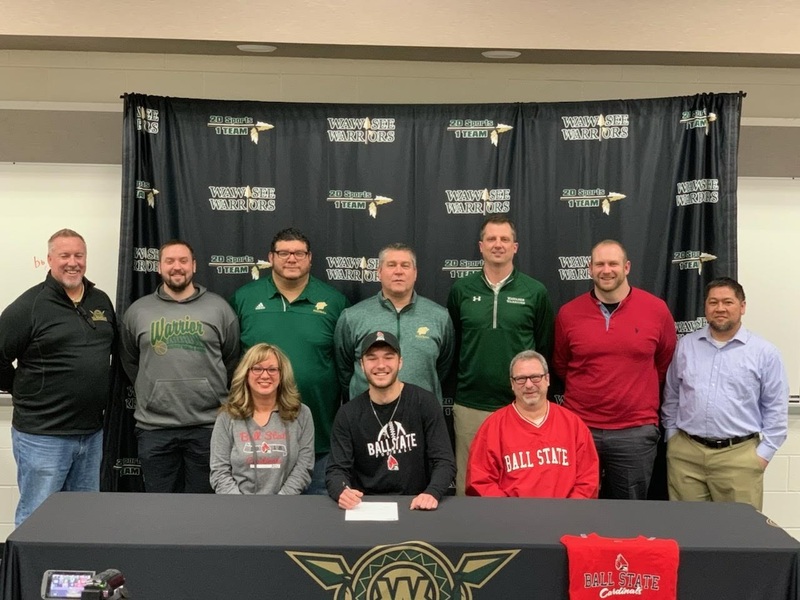 The placekicker/punter signed his national letter of intent to join the Cardinals during a ceremony Wednesday at Wawasee. Johnson played varsity for two seasons. As a senior, he averaged 68 yards per kickoff and 45.3 yards per punt. Wawasee is one of 25 local high schools that partners with Parkview Sports Medicine for athletic training, nutrition, athletic rehabilitation and orthopedic services for Warrior athletes.